As per the folklore, Two Gandharvas while flying over the Krishna delta, they came across a sage who was black in color. Gandharvas made fun of him. Angered sage cursed Gandharvas to become crows. Gandharvas regretted their mistake and pleaded Sage for the solution. Sage asked them to take a bath in the river Krishna near Hamsaladeevi. As advised they took bath here and got their actual form as Swan (Hamsa). Hence, the place popular by Hamsaladeevi. Another interesting story attached to this place, Sages in the form of Swans used to worship the Lord in the night after taking a bath in the river Krishna. Therefore, this place got name Hamsaladeevi. Hamsaladeevi Venugopala Swamy Temple is located on the banks of River Krishna. It is said that this temple is of 1000 years old. 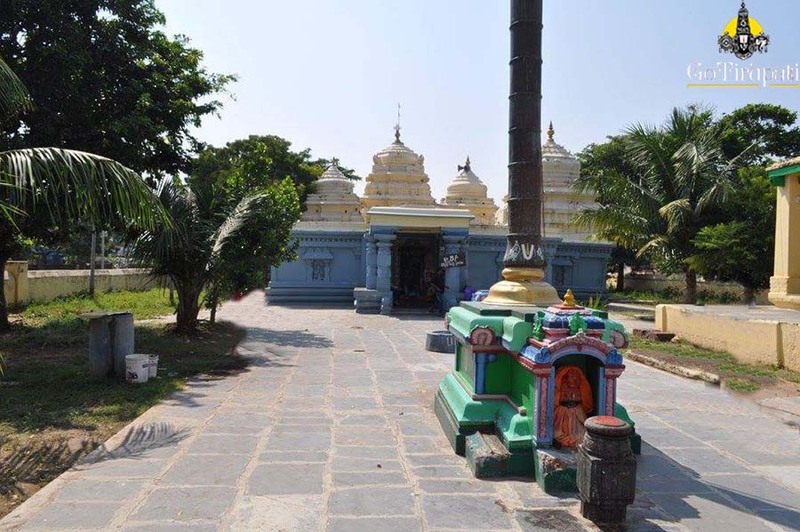 This temple was built during the reign of Eastern Chalukyas. Temple walls were richly carved with the sequences of Ramayana. The Main deity Venugopala resides here with his consorts Rukmini and Satyabhama.